Children with cancer experience pain, often severe and prolonged, over the course of their disease and treatment. 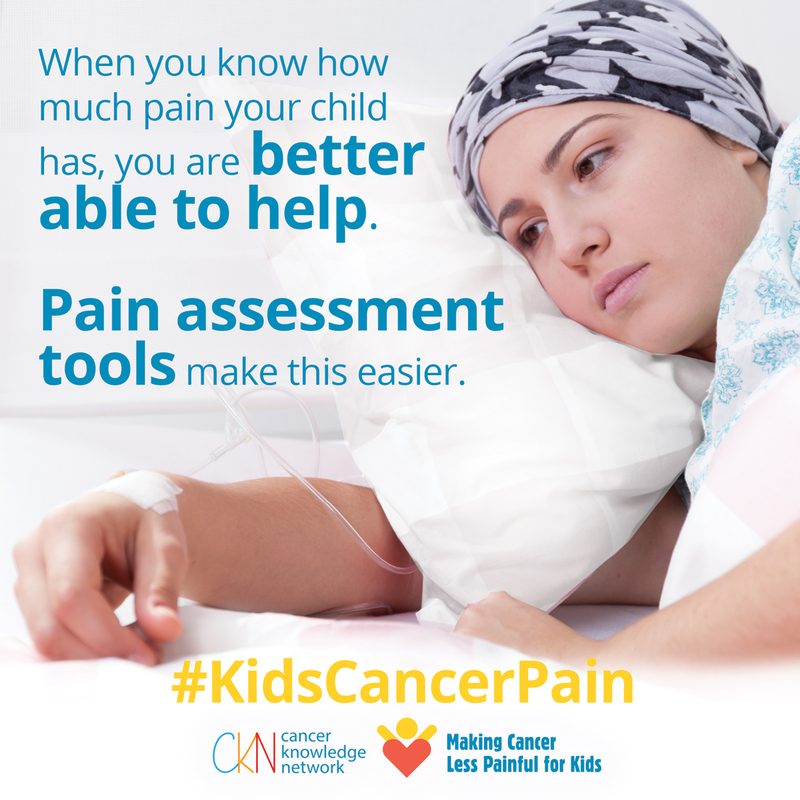 A research team of internationally known health researchers and clinicians led by Dr. Christine Chambers (IWK Health Centre) and Dr. Jennifer Stinson (SickKids) partnered with the Cancer Knowledge Network (CKN) to bring the best research evidence about children’s cancer pain to parents who need it through social media. 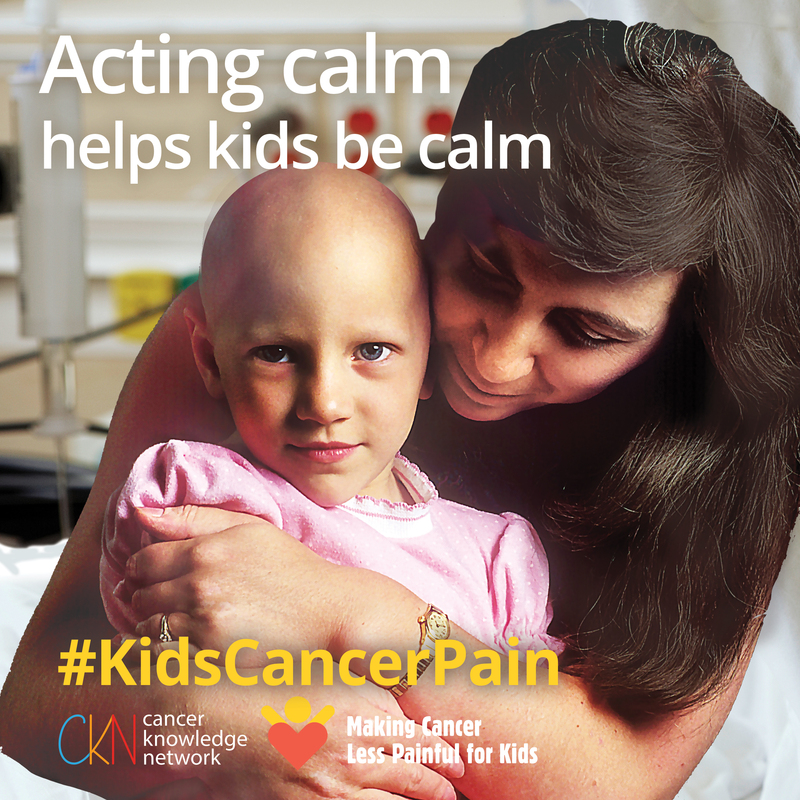 Unfortunately, we know that children with cancer don’t always receive the best pain management possible, and that parents are often looking for more solutions at a time when they are stressed and exhausted. 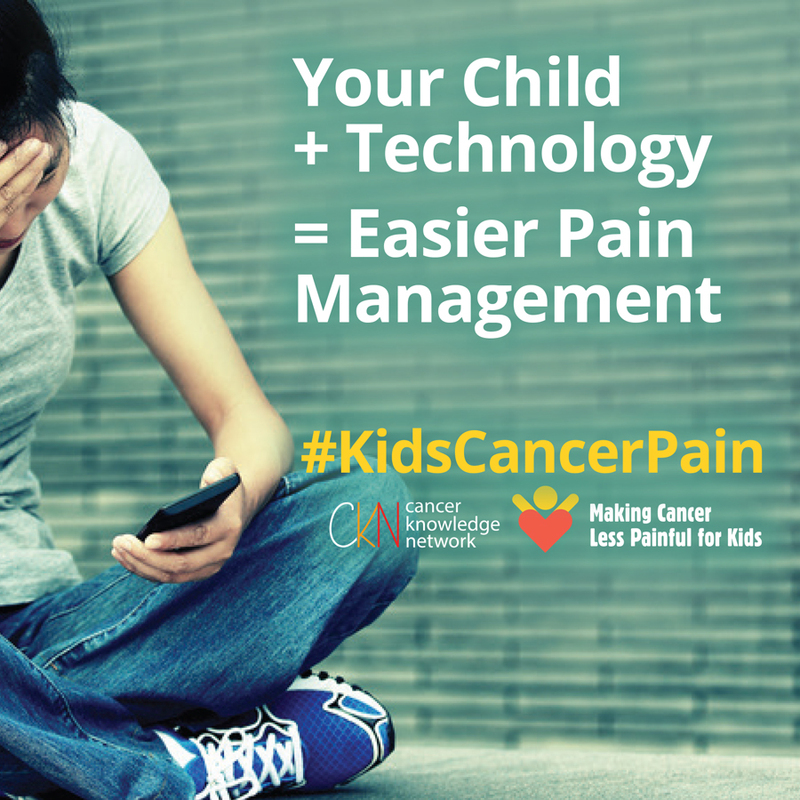 We cannot think of a better way to use the CKN platform than to fast track evidence-based information to parents, allowing them to serve as powerful advocates to help improve their children’s pain management. 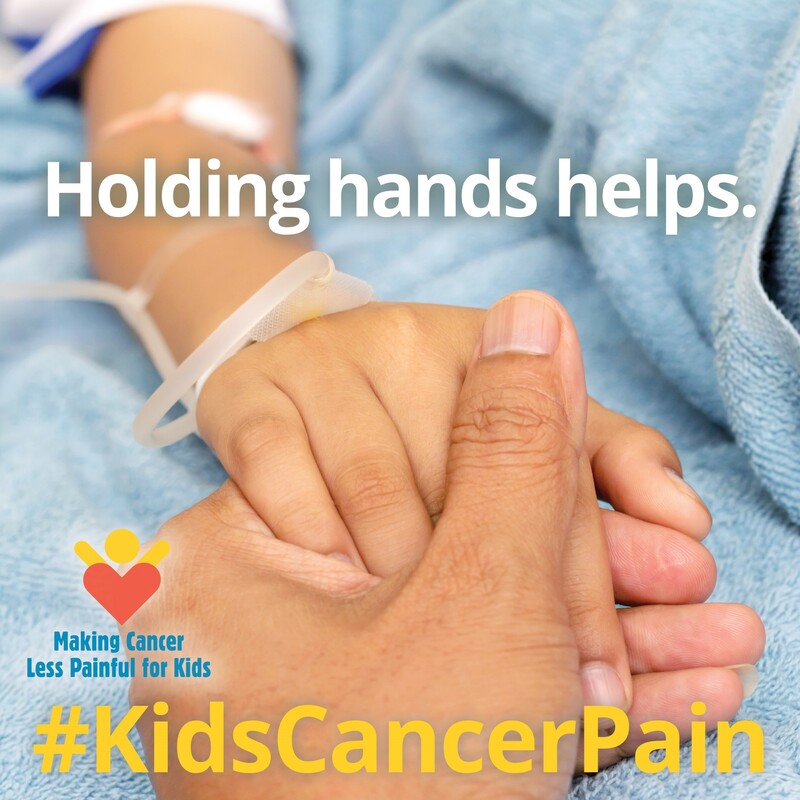 We addressed this problem through a social media campaign for parents: “Making Cancer Less Painful For Kids” (#KidsCancerPain). The campaign is funded by a research grant from the Canadian Cancer Society (grant #703699). 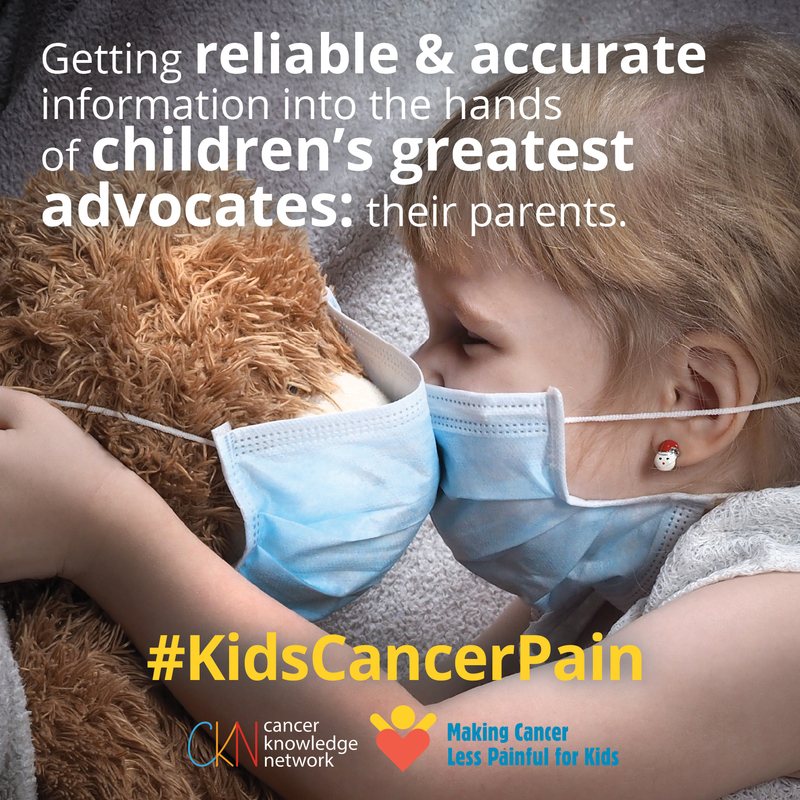 We brought parents the very best, cutting-edge research evidence about children’s cancer pain – what causes it, common myths, how to assess it, how to treat it, and more! And shared this information with parents in a series of blogs, videos, images, Facebook posts, and a Twitter chat, all posted and shared on our website and social media. The research team is also studying the reach of the campaign and its impact on parents. Please join us, and spread the word. 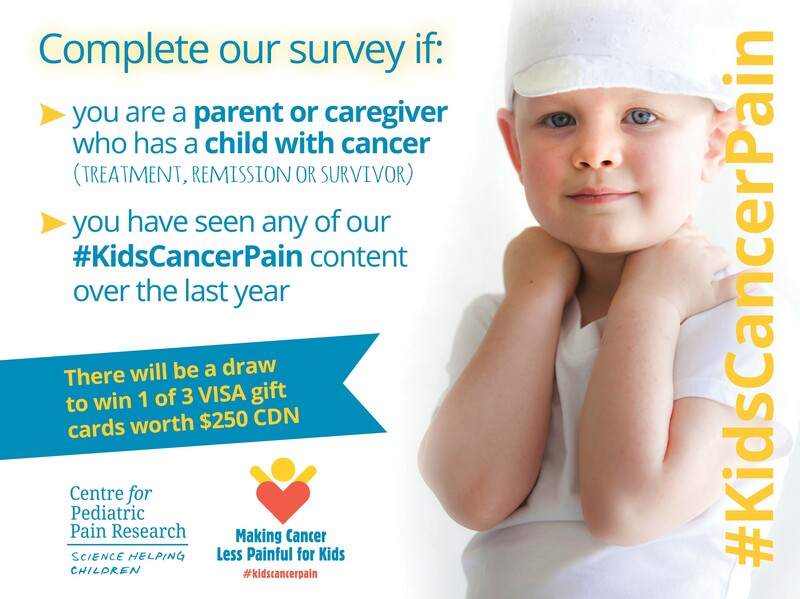 You can find our campaign content by following our hashtag #KidsCancerPain. Together, we are going to be “Making Cancer Less Painful for Kids”. December 8: How will cancer pain affect my child? September 7: When cancer treatment ends, pain can last. August 31: Holding hands helps. November 24: When you know how much pain your child has, you are better able to help. Pain assessment tools make this easier. August 24: Getting reliable & accurate information into the hands of children’s greatest advocates: their parents. August 21: How do you help your child feel relaxed when they are in pain? June 6: How do you distract your child from painful procedures? December 1: How do you tell how much pain your child is having? October 6: Which medical procedure has your child found to be the most painful? September 15: How does your child cope with pain and also ways that you, as a parent or caregiver of a child with cancer, cope with your child’s pain? 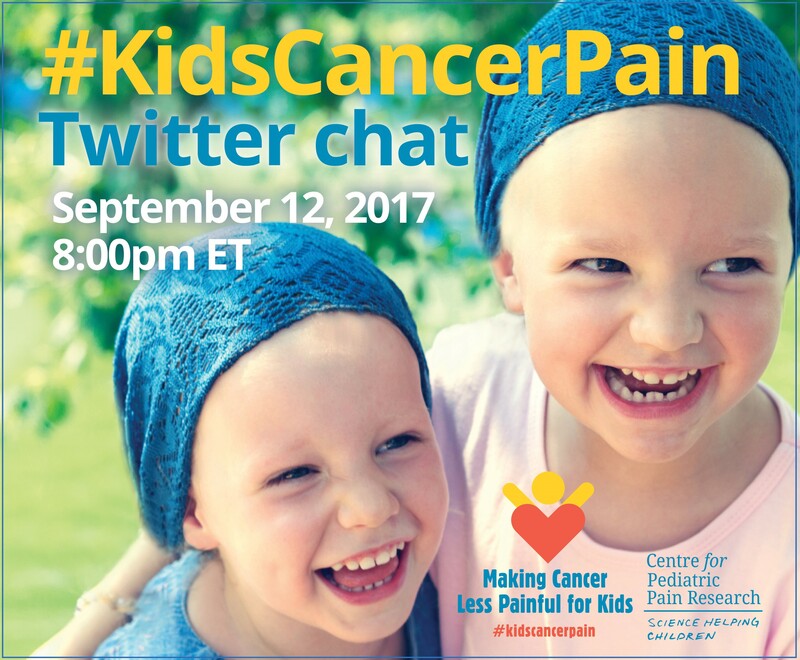 July 27: We held a Thunderclap at 9:00 PM ET to launch #KidsCancerPain. If you are participating in the follow up for the research study using the Pain Squad App (launched in July 2016 with follow up October/November 2017), then please click here to access the consent form. Interview with Dr. Christine Chambers. (2016, June 22). CBC News: Nova Scotia (interview begins at 31:55). 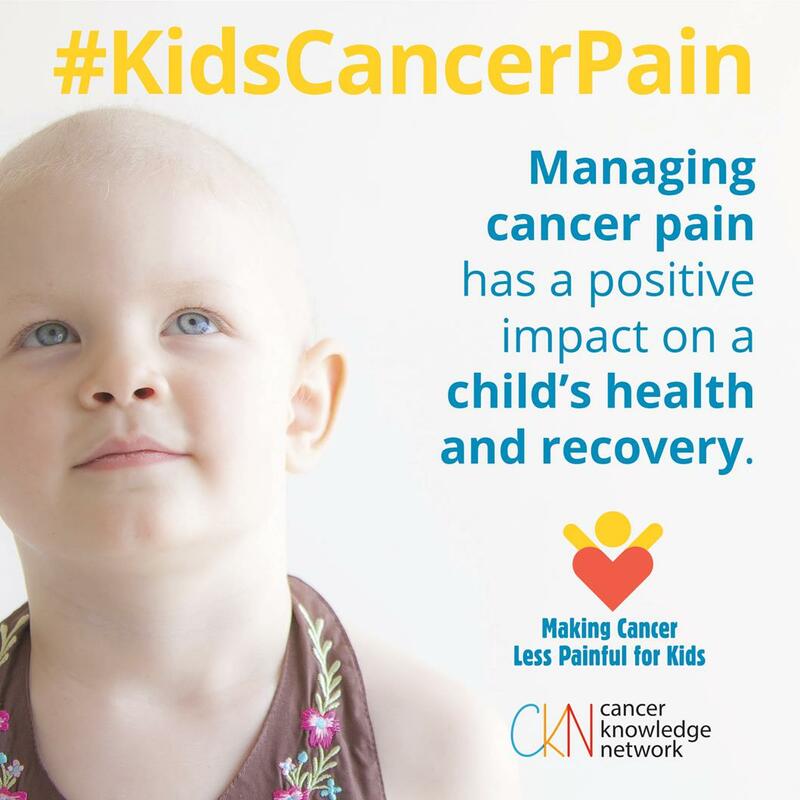 Improving knowledge of kids’ cancer pain through social media. (2016, June 22). Dalhousie University News: Faculty of Medicine. 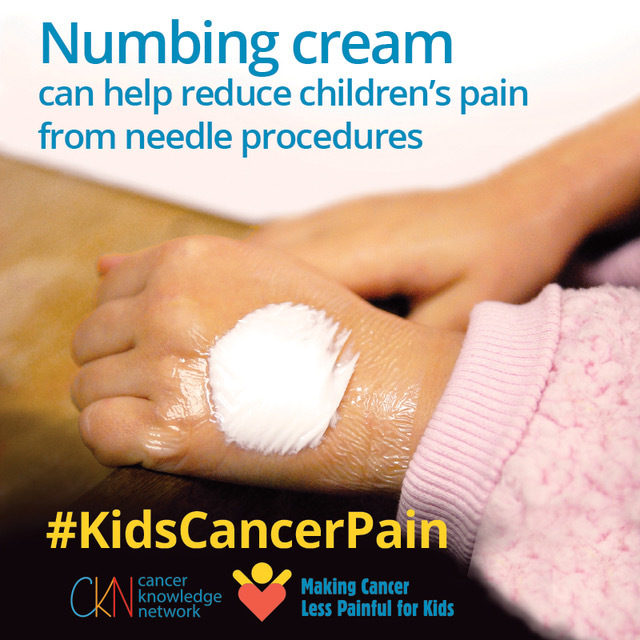 #KidsCancerPain to help parents manage their children’s illness. (2016, June 26). CBC News: Nova Scotia. Our housecall focuses on cancer treatment. (2016, June 27). Interview with Perri Tutelman. CTV News Atlantic. Making Cancer Less Painful for Kids (interview with Dr. Christine Chambers & Dr. Conrad Fernandez) (2016, July 5). Global News. Demeter, J. (2016, October 6). 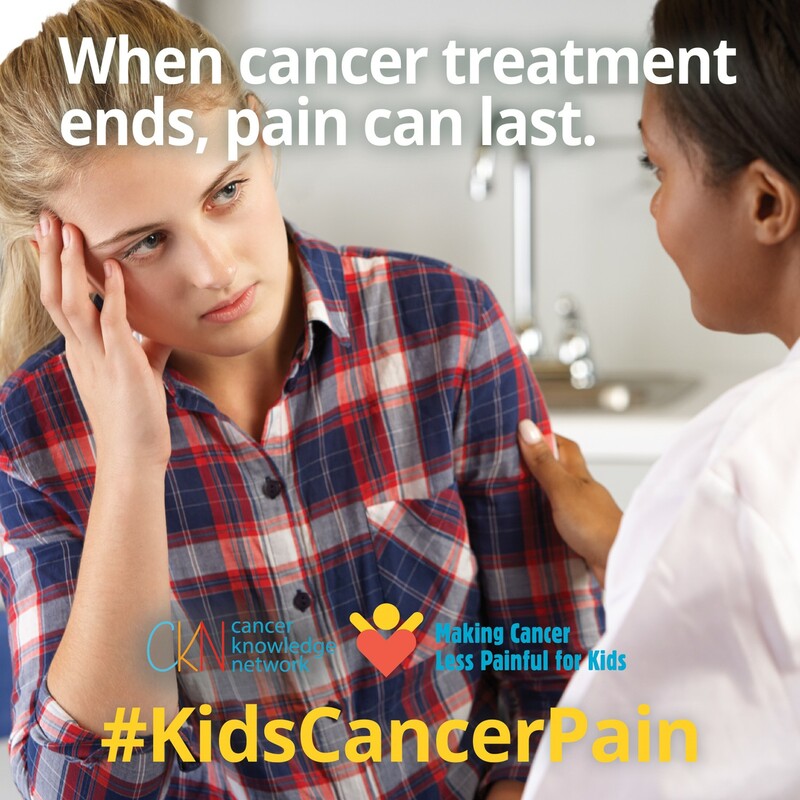 #KidsCancerPain Campaign and the Cancer Knowledge Network (Dr. Christine Chambers and Dr. Jennifer Sinson). Childhood Cancer Talk Radio Podcast. Click here to download the podcast. Click here to watch on YouTube. Sutherland, S. (2017, November 1). Kids in Pain. RELIEF: Pain Research News, Insights, and Ideas. 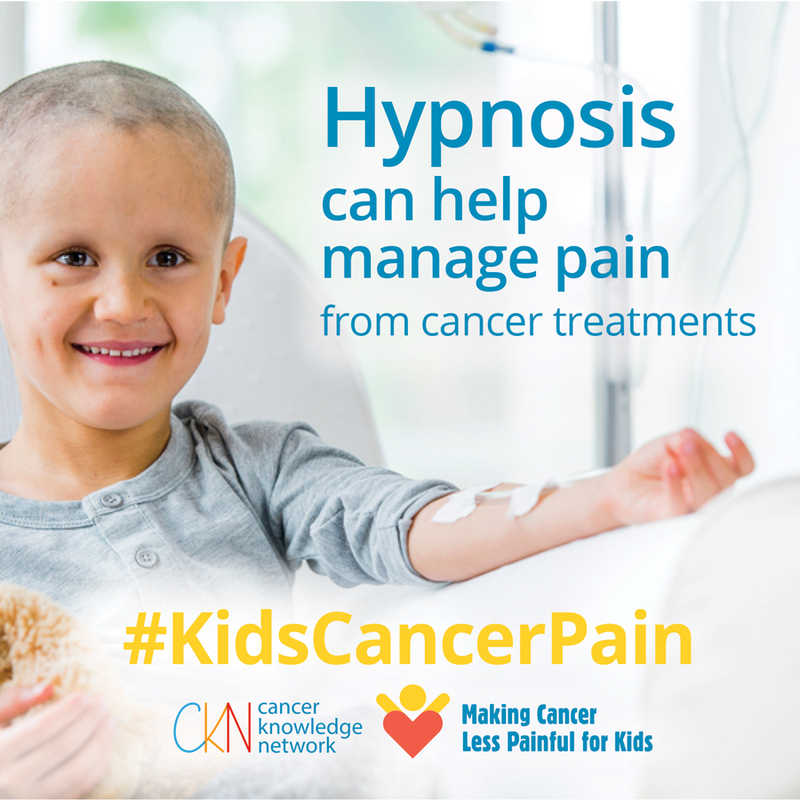 To view free materials you can download and share related to the #KidsCancerPain initiative, click here.